I’ve been on a very long journey and this coming Thursday I’ll arrive. 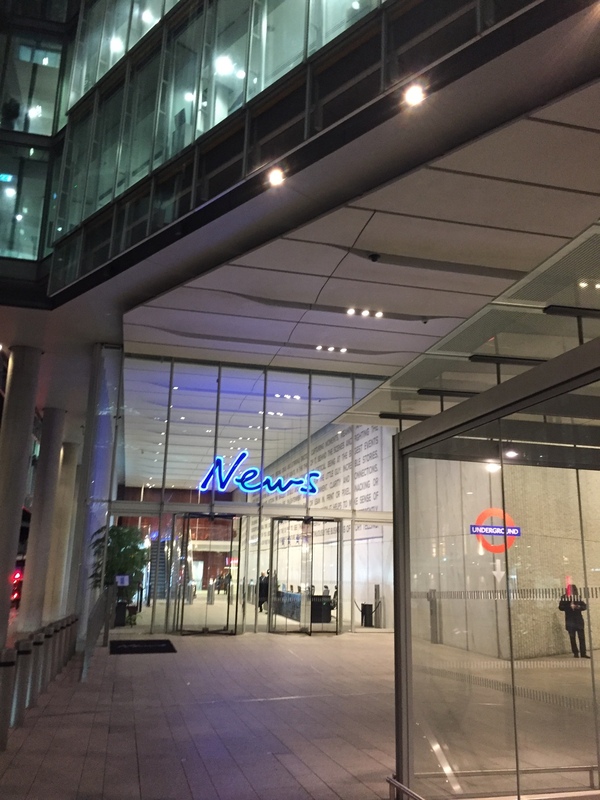 No, it’s not one of my usual train or plane journeys to far-flung places, although in many ways this is not a bad way to describe my recent steps through the hallowed doors into a traditional publisher’s world, namely The News Building (opposite the Shard) where HarperCollins resides. 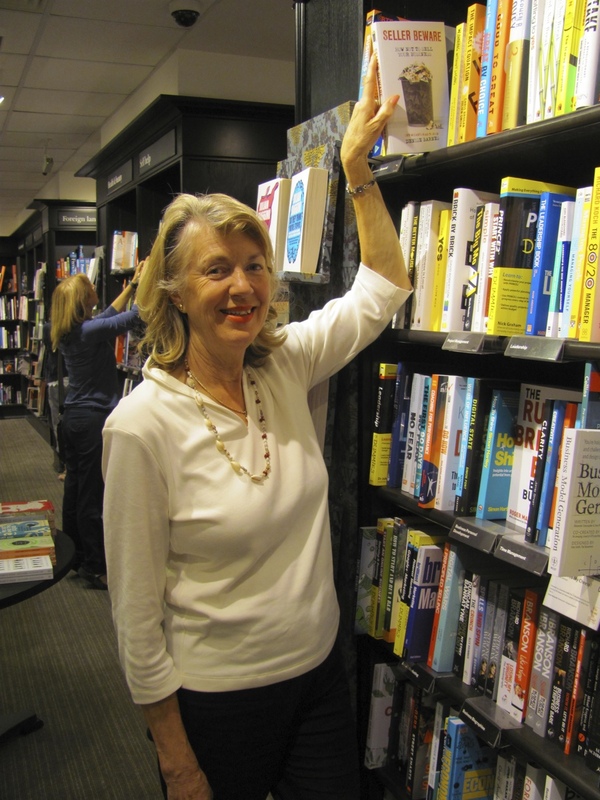 Although I’ve already had five books published – one of them a memoir which was traditionally published – I wanted my novels to be snapped up by one of the top five. Coming close so many times was dispiriting when I had proof that so many readers loved Books 1 and 2 of The Voyagers trilogy. But Lady Luck was with me one day at an RNA Conference when an author I’d never met before introduced me to the senior commissioning editor of HarperCollins. I asked her if I could give her my elevator pitch on the third of The Voyagers trilogy, Kitty’s Story. She grinned and nodded, and after I’d spouted the couple of sentences (unrehearsed) she said she would like to see the full ms.
A long time passed. She obviously didn’t like it. Then one evening as I was closing my computer her email popped up. It was a long letter. Yes, she loved Kitty’s Story; it had all the right attributes for a war-time saga, blah, blah, blah. Where’s the BUT? I kept thinking as I frantically skimmed the rest. And there it was. 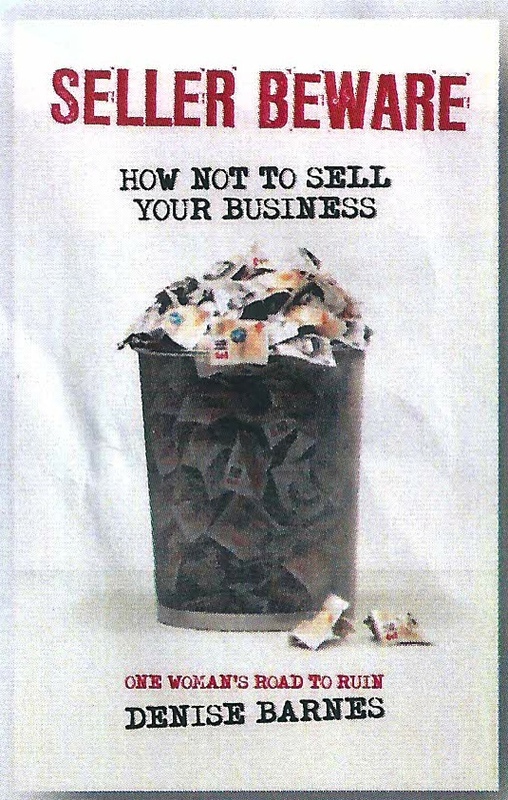 BUT you’ve self-published the first two so we wouldn’t be able to take it on. Massive gut-wrenching disappointment. Then my eyes glued to the next paragraph. There was another BUT. But would you like to write a special war-time series for us? A no-brainer, if ever there was one. 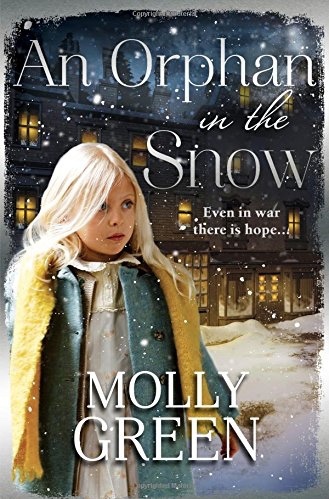 Fast forward one year later and An Orphan in the Snow by Molly Green – a new name to suit the new series – will be published on Thursday 30th November. I’ve written two non-fictions under my own name, Denise Barnes, and The Voyagers trilogy under Fenella Forster, and now this new series set in a Dr Barnardo’s orphanage in Liverpool during the Second World War under Molly Green. Hopefully, I’ll soon start to get to know exactly who Molly Green is! I do hope my journey will inspire dedicated writers out there who haven’t yet been discovered. Do keep your eyes peeled for that elusive opportunity, but until then, just keep writing the very best book you can. And if you believe (like me) that one day it will happen – then it will! Haunted by the death of her sister, June Lavender takes a job at a Dr Barnardo’s orphanage. June couldn’t save Clara from their father’s violence, but perhaps she can help children whose lives have been torn apart by war. When June bumps into Flight Lieutenant Murray Andrews on the bombed streets of Liverpool, the attraction is instant. But how can they think of love when war is tearing the world apart? As winter closes in, and the war rages on, can June find the strength and courage to make a better life for herself and the children? This entry was posted in Books, Getting published, Networking, Writing and tagged change, HarperCollins, Orphan, Seller Beware, The Voyagers on 29 November 2017 by Denise Barnes. 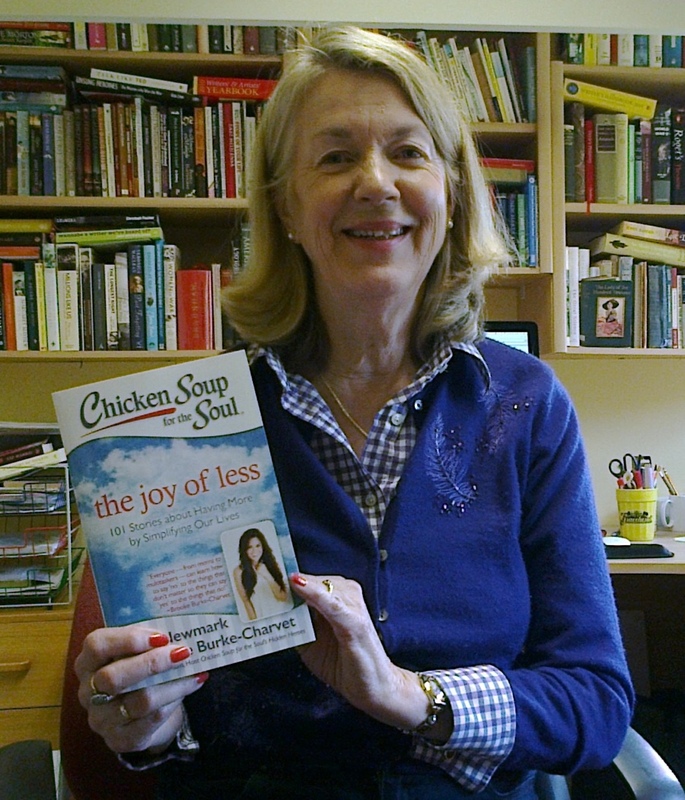 The Challenge – my true story in Chicken Soup for the Soul’s latest book: The Joy of Less, has been chosen to be featured in a podcast! 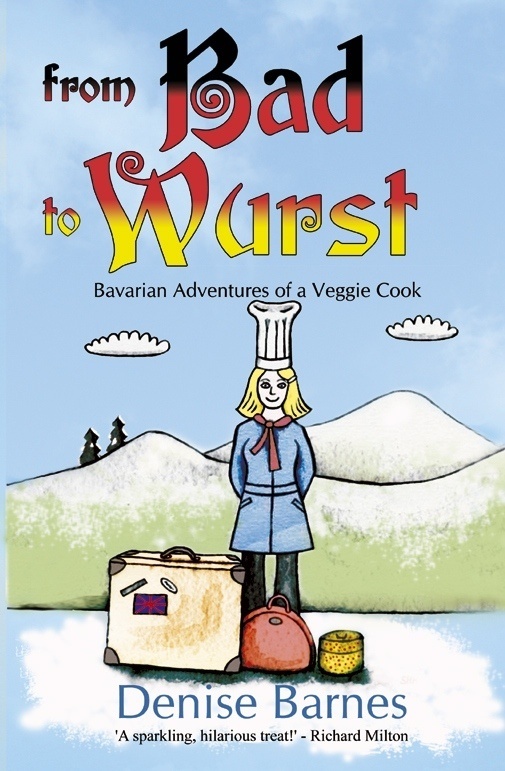 In a new venture, Chicken Soup for the Soul’s publisher, Amy Newmark, will discuss a different Chicken Soup for the Soul book each day and will highlight a story that appears in that book live in the States on Tuesday, 31st May. It’s terribly exciting; I believe I’m the only British contributor in the whole book! Listen here to the discussion! The Joy of Less contains 101 stories from people who have found that downsizing your home, buying less, de-cluttering, saying ‘No’, etc. has enriched their lives, giving them more time to devote to themselves and other people rather than materialistic things. It’s a quirky collection and absolutely fascinating. I was proud for my story to be chosen to be included in the book out of thousands of submissions, and on reading the other hundred, it’s inspired me to do my own de-cluttering and recycling in a more serious fashion. Now going to finish weeding out my summer wardrobe! This entry was posted in Books, Chicken Soup for the Soul, Writing and tagged challenges, change, inspiration on 1 June 2016 by Denise Barnes. I’ve been rewriting and editing my three (rather long) novels which make up my trilogy: The Voyagers, for many months now. I actually thoroughly enjoy this process, as it’s usually easier to correct something than to create something, but it does spoil you for not having to worry about new characters and plots, and writing fresh scenes. Yesterday, I looked at a brief outline of a possible novel I jotted down several months ago. It gave me about a third of a story and I have no idea of how the sub plot would work, nor any idea of the ending. And I truly don’t remember the working title I gave it. When did that happen? Do other writers look at their work and wonder how the words got there? The answer is, ‘I think I could be if I just started writing the damn thing.’ Well, I do have a first sentence, but the style is more rom-com than mystery saga, which is what I always seem to be drawn to. Shall I risk a change of genre and see whether it might develop into a rom-com after all? Or change that first, rather good, sentence? Answers, please, on a postcard! This entry was posted in Books, Writing techniques and tagged change on 2 September 2014 by Denise Barnes.